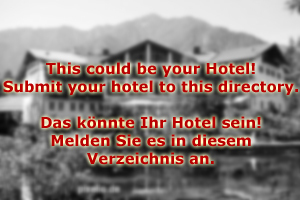 Your Holidays at Wanderhotel Salzburg, Lungau! Greetings! Wanderhotel Salzburg in the beautiful Lungau is delighted that you stop by on this page! Wanderhotel Salzburg is a family-run four-star-hotel in the most remote part of the Salzburg Alps and specialises on hiking holidays ("Wanderurlaub"). The Lungau offers a unique combination of attractive mountains for all levels of expertise (from beginners to experienced alpinists) and beautiful villages and towns. The Lungau has been an outpost of the Principality of Salzburg for centuries – and is still known for its many castles and defensive buildings. 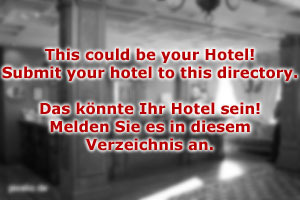 This makes Wanderhotel Salzburg attractive for everybody with an interest in history. Wanderhotel Salzburg in St. Michael im Lungau offers a range of services to accommodate your interest in mountaineering: Our staff at the reception has worked as ski instructors, mountain guides, climbing instructors and hiking tour guides before – they all grew up in the area and know the mountains of Salzburg like their front yard. No matter if you are experiencing problems with your gear, want to learn about new routes to mountain lakes or just chat about the best spots for rock climbing – the staff at Wanderhotel Salzburg will be happy to help you! Hiking maps that cover all of the area are provided by the Wanderhotel Salzburg, so is professional gear: Hiking boots, backpacks, compass – even tents and extensive camp gear can be conveniently rented directly next to the reception. If you want to stay out for all day, just tell the concierge about your plans for the next day and we will make you an early breakfast and prepare a packed lunch for you! Wanderhotel Salzburg has its own dietician that knows exactly the needs of hikers on an exhausting day. When you return to Wanderhotel Salzburg in the evening, relax at our saunas or Jacuzzi. Massages and body treatments are on offer, and so are lockers and cleaning services for your gear. The staff of Wanderhotel Salzburg is looking forward to helping you have a worry-free hiking vacation in the Lungau!